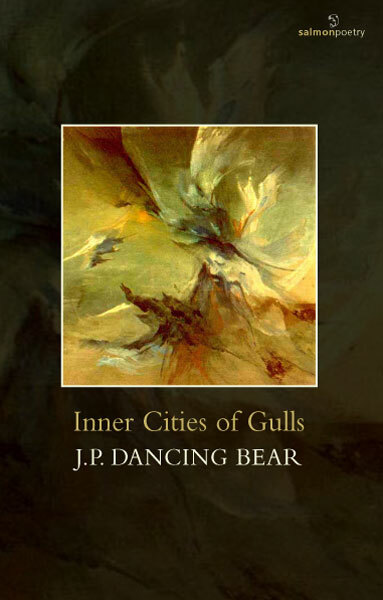 J. P. Dancing Bear is the author nine collections of poetry, most recently, Inner Cities of Gulls (Salmon Poetry, 2010). His poems have been published in DIAGRAM, No Tell Motel, Third Coast, New Orleans Review, Verse Daily and many other publications. He is editor of the American Poetry Journal and Dream Horse Press and hosts Out of Our Minds on public station KKUP. His tenth collection, Family of Marsupial Centaurs (and other birthday poems), will be released by Iris Publications in late 2010.
taking them back to the belly of soil. in the green eyes of feral cats. exodus into the woods of waiting owls. sacred; and a cat’s belly is surely hell. intended for the longest love poem. the words that fit her? to the tall grass of our new home. Order Inner Cities of Gulls. Visit J.P. Dancing Bear’s website. Visit the American Poetry Journal. 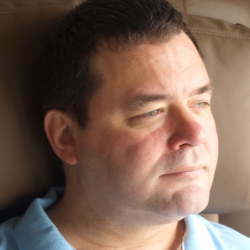 This entry was posted in books, poetry and tagged J.P. Dancing Bear poems, J.P. Dancing Bear poet, J.P. Dancing Bear's Belief About a Barn and Silo, J.P. Dancing Bear's Family of Marsupial Centaurs, J.P. Dancing Bear's Inner Cities of Gulls, J.P. Dancing Bear's Precision, J.P. Dancing Bear's Shall We, J.P. Dancing Bear's What Language, Salmon Poetry on 13/09/2010 by peony moon. That’s the first poem I’ve read from *Inner Cities of Gulls* — and I’m off . . . to order a copy.